McDonalds and Healthy Eating Choices! When you think of fast food, you think of McDonalds! Visions of a Big Mac, Fries, and Coke fill your mind! My brother's first phrase was hamma, fries, n coke, sad to say! The Golden Arches has greatly expanded its simple menu, but if you are not savvy and plan healthy substitutions, you could find your waist line expanding too! Lately, they have tried to jump on the healthy bandwagon by offering a few items for those practicing healthy eating! and visual ways to know portions! Both great hints for customers to follow! They also include a few meal ideas that will allow you to keep your calories in check! Grilled selections! Many grilled selections are offered. Most of the chicken sandwiches or salads include a grilled option! It is possible to eat here and keep within the 600 calorie range if you use care! Side Dishes. There are several side dishes that you can substitute that actually taste great, rather than fries. There is a small side salad, Apple Dippers with low fat caramel dip, a snack size fruit and walnut salad, vanilla reduced fat ice cream cone, or Yogurt Parfait with Granola. Not a lot of choices but a few! I think that kids would like them all! Crispy. Most of their burgers are fried with a high fat content. Salad Bombs. Most of their salads are just as many calories as a high fat burger if you use the regular dressings. You must use knowledge to choose a grilled salad with either low fat balsamic, or low fat Italian and not use the crunchy toppings. Portion Distortion. Like most fast food restaurants, they offer out of control portions. Kid's meal sizing should be the norm, but we would all feel cheated, because we expect giant portions. They offer small, medium, and large on many of their products like fries, milkshakes, and desserts. Small choices are often the size of a meal and the large choices are way over the top! Milkshake and Dessert Diet Bombs! These are loaded with calories! The small varieties could not be included in your 600 calorie meal, unless they were actually your meal. Do not order a Milkshake or McFlurry, if weight control is important to you! A cookie is 160 calories, but three come in a serving. Once again your total meal! Way over the top. McDonaldland cookies, that kids will want, clock in at 250 calories! Way too much for a kid after a meal! It would be awesome to actually include a 100 calorie bag! Breakfast Bombs: Many of their breakfast items are high fat and caloric. Might be okay if you just ordered the breakfast sandwich. The big breakfast with Hotcakes clock in at over 1000 calories, and specifically say they do not include the calories of the butter and syrup, which I think is misleading. Including them adds another 220 calories onto the already high meal, making the meal over 1300 calories! Yikes, that is like two meals! Drink Bombs. There are hundreds of drink choices. Most are not listed on the reader board, so you are ordering blind calorie wise. 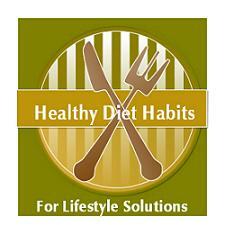 Many are caloric and do not fit into the meal plan, if you are ordering a meal too. I see so many people ordering Fraps or Smoothies, and wonder if they really know how caloric they are? Taste. I personally do not like the taste of their foods! One of my happiest days was when my son at age 8 said Mom, this burger does not taste good! Hard to read Menu Board. The reader board is very hard to read quickly, so it is hard to know what to order. It is easy to order a diet bomb, before you have the chance to realize what you did. It is possible to make some healthy lifestyle solutions at McDonalds, but it would take a bit of education first. The healthy diet habit would be to grab one of their Nutrition Facts Brochures and become familiar with your usual choices. It is quite possible to make a few friendly substitutions that are tasty and be within your calorie limit. Avoid any item that says crispy, and choose grilled versions! Choose a side that includes fruits or veggies. Limit desserts, and caloric drinks with your meals. Grab a brochure, and make it a game to see if you can plan a healthy meal that fits into the 600 calorie meal plan that McDonalds suggests! Might be harder than you think!